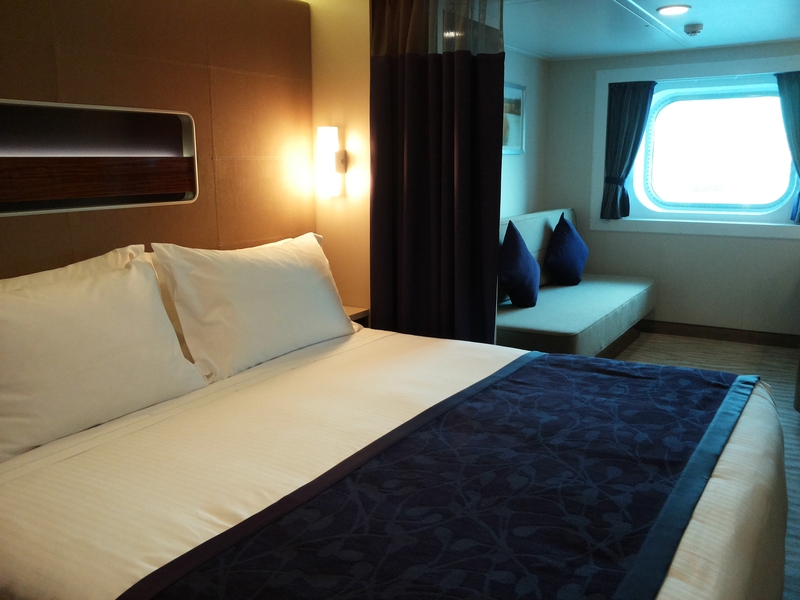 Any reason is a good reason to go on a cruise, so to celebrate the start of the new year and the launch of a brand new cruiseship, we packed our bags and drove to Rotterdam ready to be among the first guests onboard NCL’s Getaway. Lucky for us there were a lot of travel professionals onboard so NCL made it possible to have a look at the different types of cabins that are available on NCL Getaway. 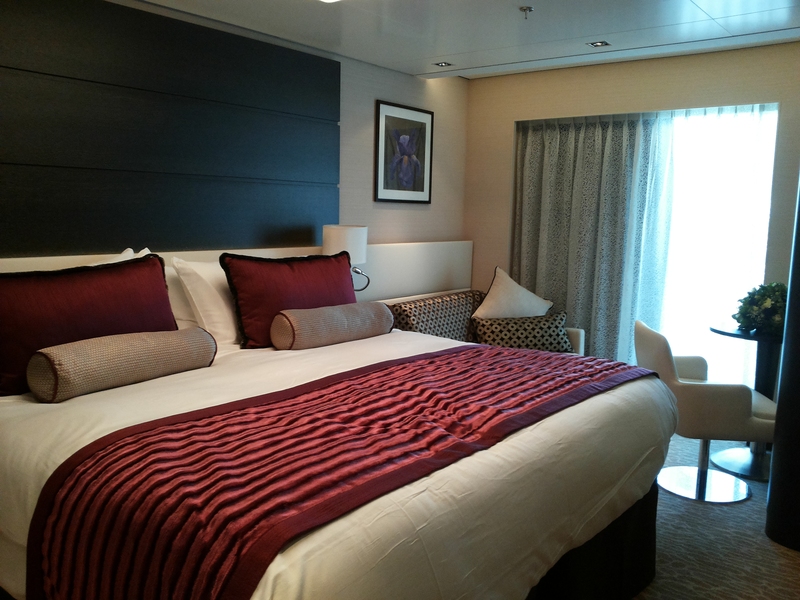 There are two ‘The Haven Deluxe Owner’s Suite with Large Balcony‘ available on this ship. They are located in the exclusive, key card access-only area, The Haven. They have a living room, dining area and half bathroom. The floor-to-ceiling windows look out on the extra-spacious wraparound private balcony. 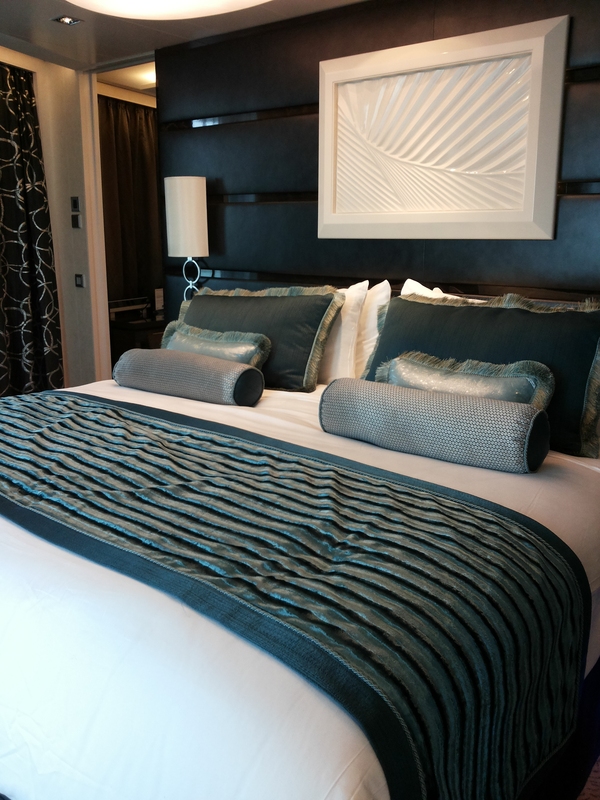 The master bedroom has a luxurious king-size bed with pillow top mattress that faces the floor-to-ceiling windows. Adjacent is the large master bathroom with a seperate luxury shower, two modern vanity sinks and a large bathtub with amazing views. Guests have access to The Haven and its secluded Courtyard Area, private restaurant and lounge, the concierge service and 24-hour butler service. 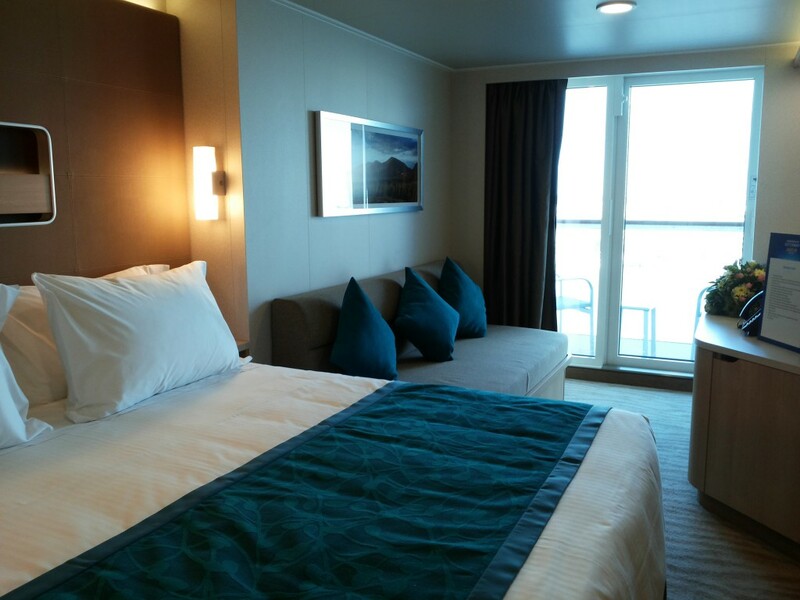 There a two more smaller ‘The Haven Owner’s Suite with Large Balcony’ measuring only 53 sq. m. (compared to 86 sq. m. for the Deluxe Owner’s site). The ‘The Haven 2-bedroom Family Villa With Balcony‘ has two bedrooms and two bathrooms and is perfect for families. 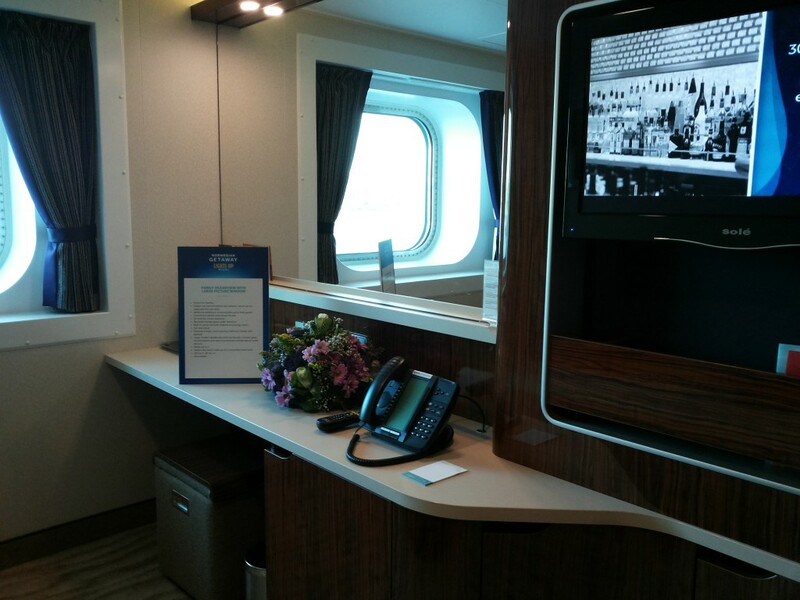 The living room and dining area includes a sofa-bed, writing desk, DVD player, bar, refrigerator and coffee maker. The floor-to-ceiling windows let you look out onto the private balcony. The master bedroom features a luxurious king-size bed with pillow top mattress, while the master bathroom features a seperate luxury shower, an oval bathtub and two modern vanity sinks. The second bedroom includes a double sofa bed and bathroom. These family villas are located in the key card access-only area and include access to The Haven and its secluded Courtyard Area, private restaurant and lounge, the concierge service and 24-hour butler service. The 20 villas measure 50 sq. 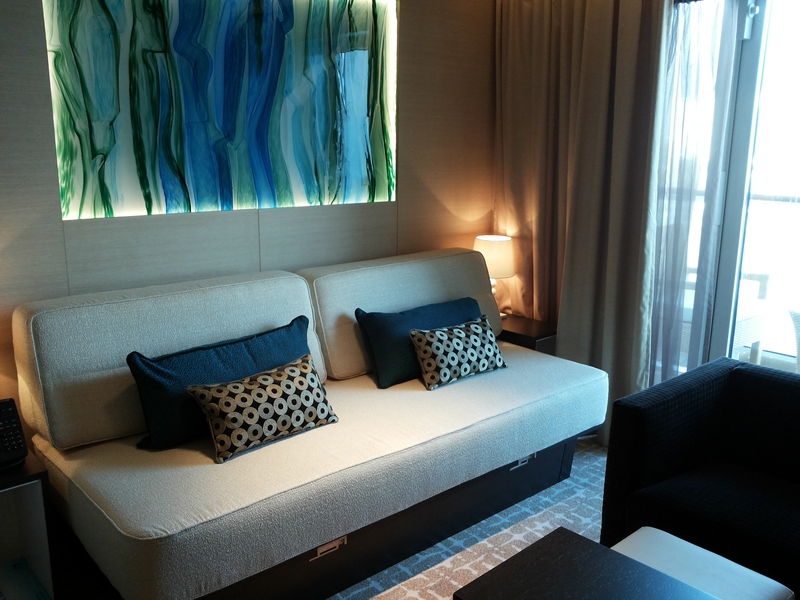 m.
Onboard the Getaway there are 18 ‘The Haven Courtyard Penthouse with Balcony‘. Also located in the exclusive The Haven they include a sofa bed, writing desk, DVD player, mini-bar, refrigerator and coffee maker. Guests who stay in these 31 sq.m penthouses have access to all the facilities provided by The Haven. The 16 ‘The Haven Spa Suite With Balcony‘ have easy access to the adjacent Mandara Spa en fitness center, as well as complimentary access to the thermal spa. Floor-to-ceiling windows give access to the private balcony. 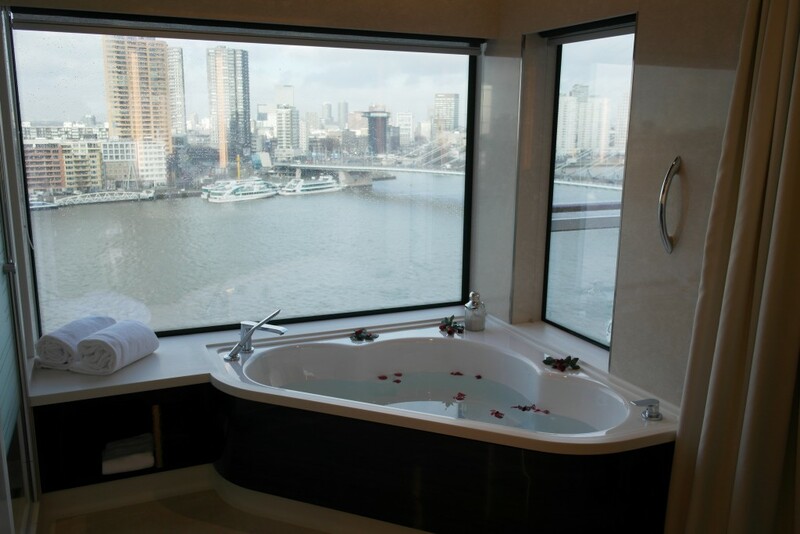 Next to the queen-size bed with pillow top mattress there is an in-suite whirlpool. 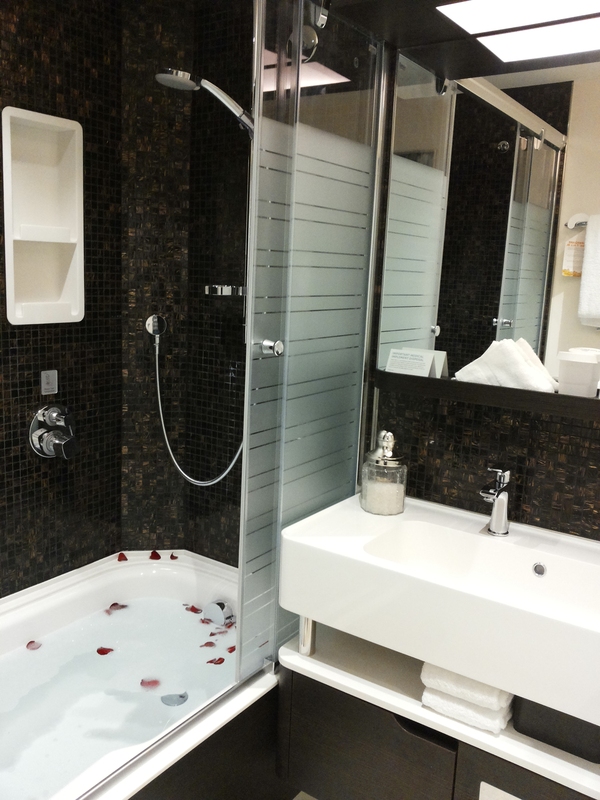 The ‘Spa Suite’ measures 29 sq.m. 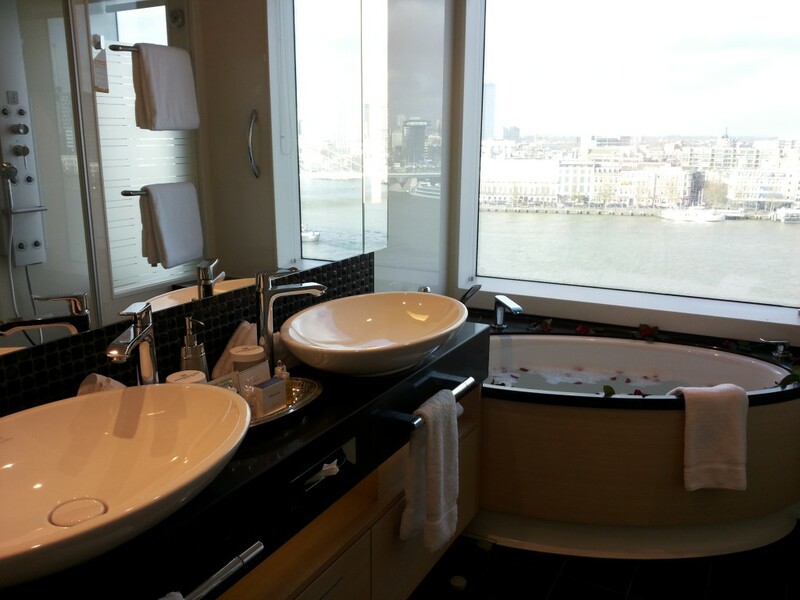 There are a further 20 ‘Spa Mini Suite with Balcony’ which are 22 sq. 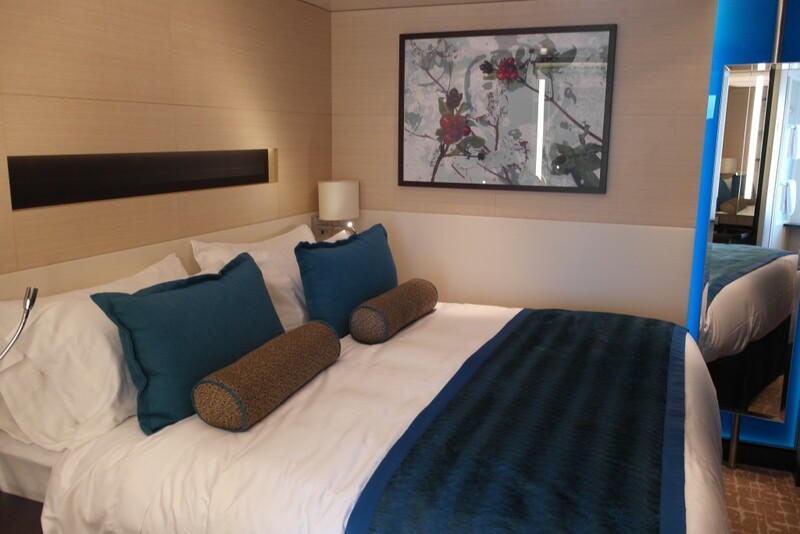 m. in size and 36 ‘Spa Balcony’ staterooms measuring 19 sq. m. These also include access to the Mandara Spa and fitness center and Thermal Spa, but they do not include access to The Haven and its facilities. The ‘Oceanview Cabins With Large Picture Window‘ vary in size between 15 sq. m and 20 sq. m. The queen-size bed has a pillow top mattress and can be seperated into two beds. 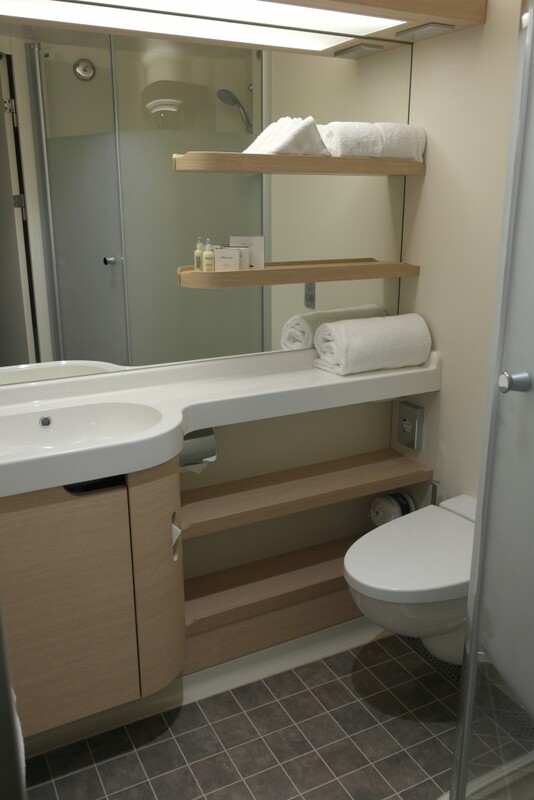 There is a built-in vanity area with shelving and storage space. 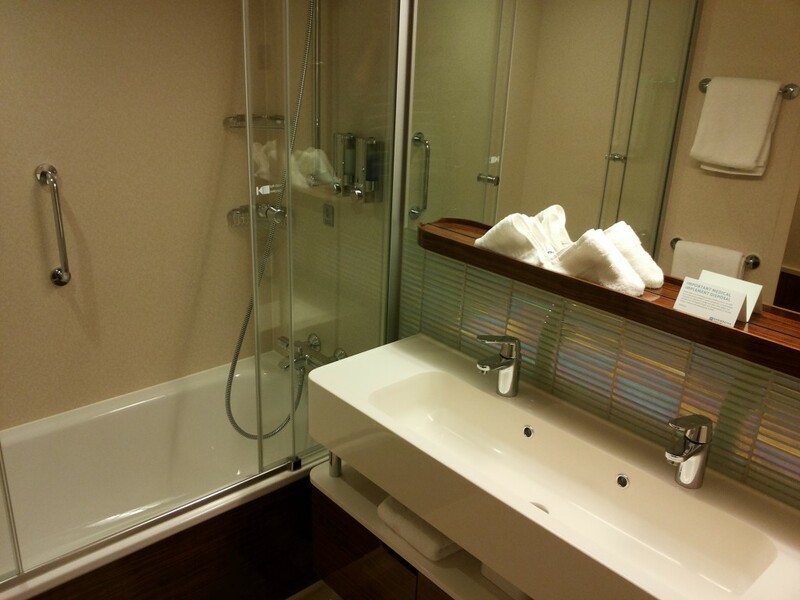 The bathroom has a large double sink and bathtub.